In the Mediterranean diet it is typical to begin the food with tantalizing starters to initiate the appetite. These appetizers are called Tapas or “Spain’s Little Meals”. Being Finger Licking finger foods, Tapas is meant to encourage conversation. People have the option to focus their attention on socializing rather than keeping themselves busy with managing a full course meal. “According to legend, the tapa tradition began when Castile’s king, Alfonso X of Castiletapas. The word became a kind of loophole in the law to allow drinkers to imbibe alcohol. or Alfonso the Wise, recovered from an illness by drinking wine mixed with small dishes between meals. After regaining his health, the king ordered that taverns were not allowed to serve wine to customers unless the beverage was accompanied by a small snack or tapas. The word became a kind of loophole in the law to allow drinkers to imbibe alcohol. It is also commonly said that since one would be standing while eating a tapa in traditional Spanish bars, they would need to place their plates on top of their drinks in order to eat, making it a top. 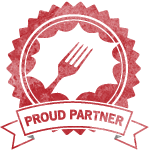 There are an array of Tapas available… Patatas Bravas, Spanish Omelets, Gambas al Ajillo Recipe (Garlic Shrimp Tapa), Stuffed Mussels & Sauteed or Stuffed Mushrooms being a few popular ones. These plates are little but with big flavors, as the Spanish food incorporates influences & ingredients of different cultures & countries… With the invasions of the Romans, Africans & others the soil of Spain has absorbed the variety of food & spices… like almonds, saffron, tomatoes, potatoes & chili peppers. Why Stuffed Mushrooms? I saw the Bharwan Khumbh here & I had this craving:-) I got around making my version of the stuffing soon after. I love the earthy texture of the mushrooms! Along with the vibrant tomatoes, peppers & garlic spiced with the exotic saffron, this Tapas is a delight. It is all vegan, as I have used Almonds here to garnish instead of the cheese. Not to mention that this is a health packed appetizer. Note: If you are using dry sun dried tomatoes (not in oil), you will need to soak the tomatoes in about half cup of hot water to reconstitute them. Save a bit of the water in which they are soaked. Wash the Mushrooms & dry them. Carefully scoop put the stem of the mushrooms to make a hollow inside the mushrooms ( I used a thin paring knife).Save the stems & the caps. Combine 1 minced clove of Garlic with the butter or oil & heat the oil/butter in a pan. Add the mushrooms to the pan & saute them while tossing at high heat till the mushrooms start to brown & all the water dries up. Toss with the parsley; Set aside. 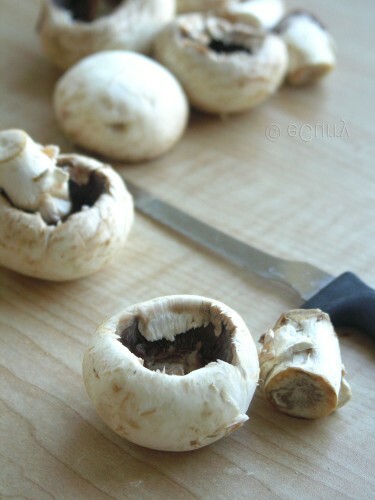 Chop the stems of the mushroom very fine. Chop the roasted bell peppers. Chop the sun dried tomatoes. Process the nuts till they are coarsely ground. Chop the rosemary. Heat the 1.5 tsp of Olive Oil. Add 1 clove of minced garlic. Add the stems of the mushrooms; saute them till dry. Add salt & pepper. Add the tomatoes, bell peppers, Saffron & nuts to the mushrooms & combine. Add a squirt of lemon & the crushed pepper, if you are using them. Gently combine everything together. With a small spoon stuff the mushroom with filling. Put the mushrooms in a baking pan & drizzle with the oil from the sun dried tomatoes. (if you are using the dry tomato, drizzle some olive oil) ; Bake at 350 degree F for about 10 minutes. Sprinkle some coarsely ground almonds on the mushrooms. (You can use some cheese in place of almonds). Squirt some fresh Lemon Juice if you want. Serve with some fruity Wine or your favorite cocktail. Beer is great too! Who can resist the irresistible beauty? These are absolutely awesome for parties. The button mushrooms being just the right size for a flavorful bite. 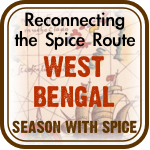 Saffron is one of my favorite spice, & my regular readers will know about my love of garlic & sun dried tomatoes. Every thing combined here with the healthy crunch of almonds & the sweet of the roasted bell peppers, this Tapas is a winner for sure. This is Vegan Version – common everyone, this healthy, delightful Tapas is meant for all! 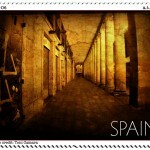 Sending this to ATOM: SPAIN, co hosted by Nuria of Spanish Recipes. never tried stuffed mushrooms b4 but it sound fabulous. a must try 🙂 nice shots!! Those look great! Never liked stuffed mushrooms till recently. This is real nice starter dish. Looks so nice. I am gonna try it for my next party!! These look so appetizing , and the pictures are just awesome ! Wow these look great, perfect party starters!! I am sure bookmarking this as it ooks so good and my hubby loves mushroom and filled like this he will love it. This is just so lovely didi !! I love mushroom and nothing can be more yummy than this !!! you are going to like this, try it out at least for yourself. Great!!! 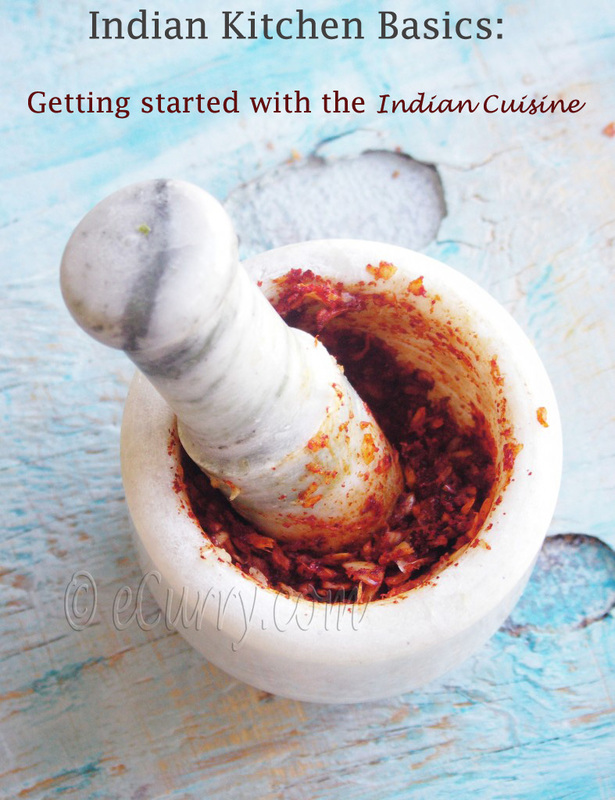 I am going to try this recipe with Indian herbs instead. Thanks for passing from my blog even if I haven’t been around lately. This is my kind of tapas. I love mushrooms and love the stuffing you made. 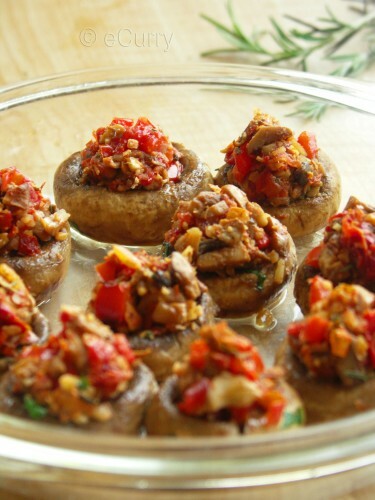 Your stuffed mushrooms look fantastic! The almonds in place of cheese sounds great too. I love all the flavors in those mushrooms! Delicious. Great pictures too. Yummy! The stuffing sounds great with the sun-dried tomatoes! These look delicious! 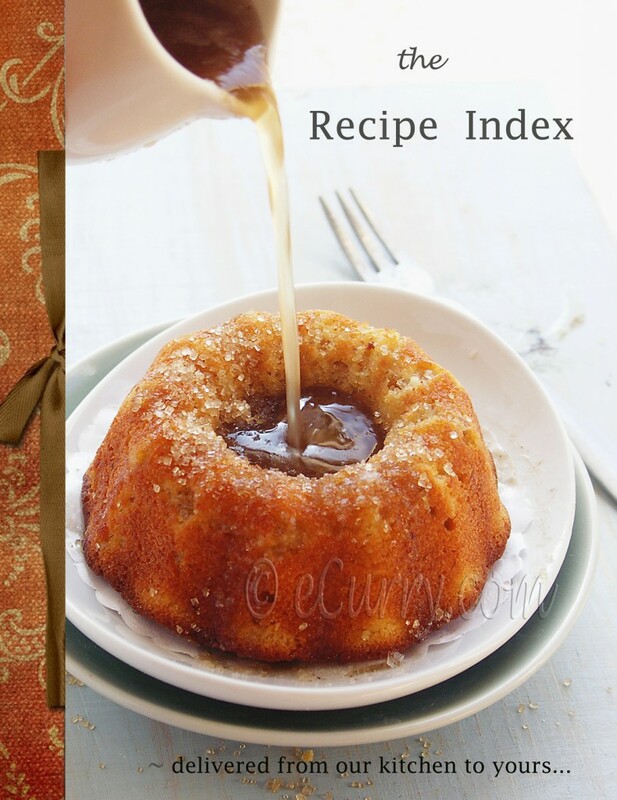 Wonderful step-by-step photos to! Thanks for sharing. 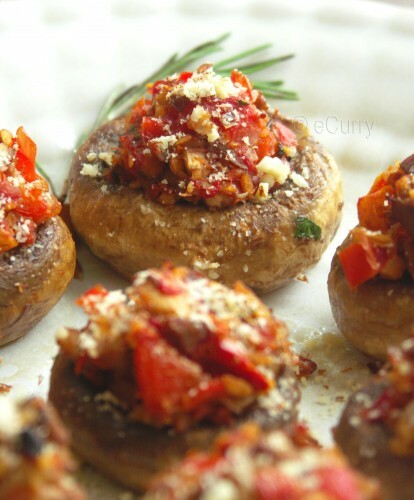 These look like the ultimate stuffed mushrooms! I bet they’d be great over pasta as a main course too. Soma, these look delicious! I’m so glad you made these too because they led me to your blog 😀 I’m totally making these this summer – thanks for the recipe! Oooh! They are making me crave again:). Thanks for linking to my khumbs too:). I agree they are so adorable, it makes it difficult to have them without admiring! Wow Soma….perfect party snack!!! Looking really delicious and wonderful clicks!!! Definitely a perfect appetizers for parties, looks wonderful ! Can you believe I never made stuffed mushroom before? It’s time for me to try it, right?! Look fabulous Soma! 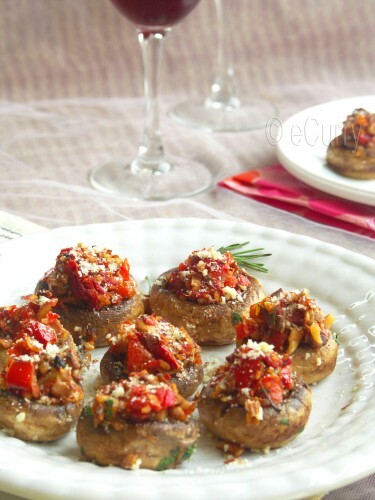 You should try stuffed mushrooms! They sure look wonderful. I loved the stuffing that you have made with sun dried tomatoes, galic and rosemary. Just yumm! I have done this combination of tomato, garlic pepper so many times;-) ..becoz i love it! Oh delightful! I really enjoy all your stories about how tapas came about. I call it Little Bites Dinner when I do these … not these specific mushrooms but tapas in general. I will keep these in mind while I’m planning our Little Bites Dinners this summer. Love stuffed mushrooms. Wonderful photos … irresistible is right! I like “little bites dinner”! such a beauty to look at the mushrooms!!! 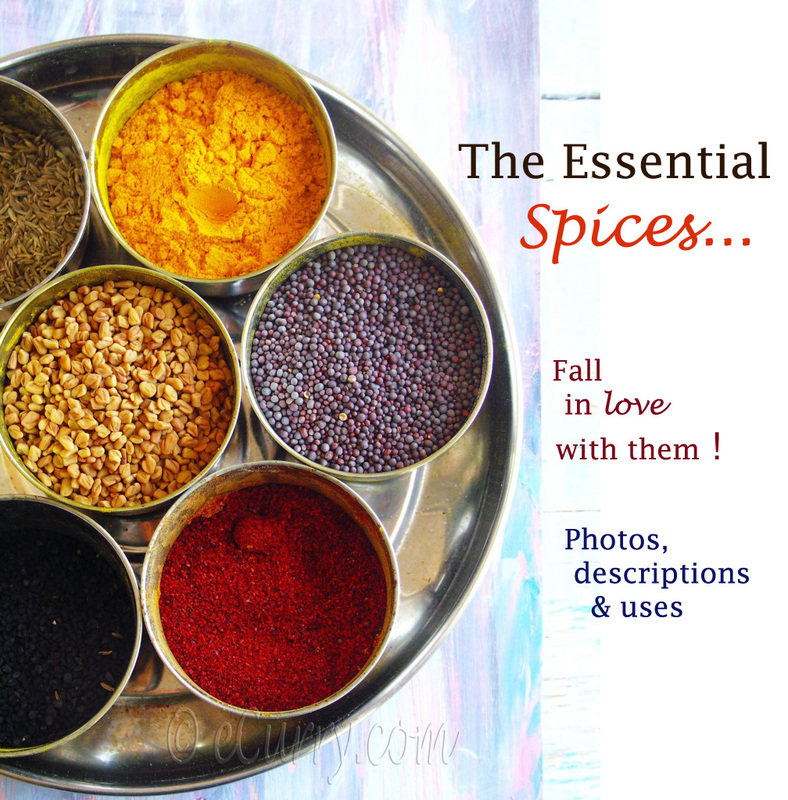 they look amazing and a perfect starter for a dinner party!!! Mushrooms taste great when stuffed! Delish!! Nice info on the tapas! The almondy bits on top look nice. Love stuffed mushrooms, though I add lots of cheese in the stuffing. I loved the addition of the almond bits, that crunch must’ve been so nice! 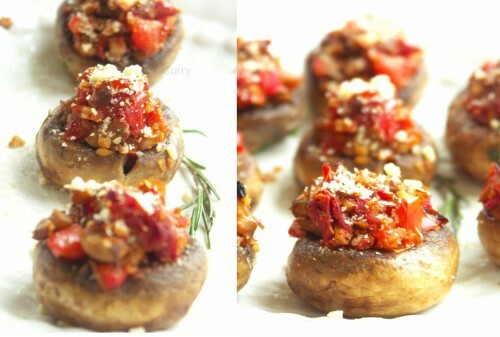 Stuffed mushrooms looks awesome…have bookmarked. 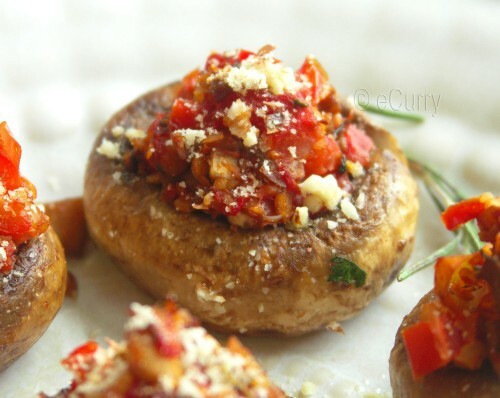 These mushrooms are just packed with flavour and they look great! Stuffed mushrooms look so yummy. Awesome pictures. Making these tonight! Just curious: why do you recommend Button Mushrooms and not baby Portabello? No suggestions Steve. It is just that I have used the button mushrooms. Feel free to use the kind you prefer. Baby Portobellos will be good stuffed too, so will be the big portobellos.. only big enough to make a meal. Wow, these came out so tasty! I didn’t add any saffron, nuts, or lemon and it was great. 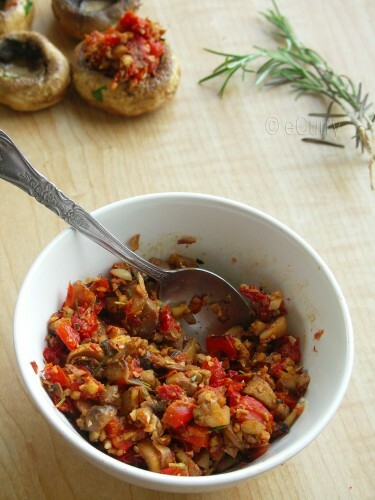 The sweetness of the roasted red bell pepper, subtle tartness of the sun-riped tomatoes married with the sauteed mushrooms and garlic just made each bite explode with flavor. On the other hand, my most of mushroom caps came out watery and flat. Did I do something wrong here? Maybe the caps still had too much water and maybe I overcooked it? Anyhow, thanks for the awesome recipe! I’m sure the filling would go great in many other dishes and I can’t wait to experiment. The pictures make this look so tasty – the mix of tomatoes and pepper s is one of my favorites, I cant wait to try them out.